One of GM’s top-selling vehicles is the Chevy Silverado – a rugged pickup truck that’s available in 1500, 2500, or 3500 configurations with rear- and four-wheel drive. Whether you want a truck for towing machinery around the Lakeland area, or hauling equipment to a jobsite, a used Chevrolet Silverado is just as capable as a brand new one. The Chevrolet Silverado has a long history of providing incredible performance and strength for Valrico drivers, and that’s something you can only get from a Chevrolet pickup truck. Find your used Chevy Silverado in our inventory of 23 used trucks below! This Chevrolet Silverado 2500HD delivers a Turbo-Charged Diesel V8 6.6L/403 engine powering this Automatic transmission. WHEELS, 18 (45.7 CM) FORGED POLISHED ALUMINUM, UNIVERSAL HOME REMOTE, TRANSMISSION, ALLISON 1000 6-SPEED AUTOMATIC, ELECTRONICALLY CONTROLLED with overdrive, electronic engine grade braking and tow/haul mode. *This Chevrolet Silverado 2500HD Comes Equipped with These Options *SUSPENSION PACKAGE, OFF-ROAD includes 35mm deflective disk twin tube shock absorbers, off-road jounce bumpers, 33mm front stabilizer bar, (NZZ) skid plate package and Z71 decals on rear quarters, SKID PLATE PACKAGE, FRAME-MOUNTED SHIELDS includes front underbody shield starting behind front bumper and running to first cross-member, protecting front underbody, oil pan, differential case and transfer case, INTERIOR PLUS PACKAGE includes (AG1) driver 6-way power seat adjuster, (UUI) AM/FM stereo with CD player and MP3 playback and USB port, (UK3) steering wheel-mounted audio controls, (UPF) Bluetooth for phone, (A60) locking tailgate, (PPA) EZ-lift tailgate and (T96) front fog lamps, CONVENIENCE PACKAGE includes (JF4) Adjustable power pedals, (UD7) Rear Parking Assist, (UG1) Universal Home Remote, (AP3) Remote vehicle starter system and (C49) rear-window electric defogger , TRAILERING EQUIPMENT, HEAVY-DUTY includes trailering hitch platform and 2.5- inch receiver with 2 adapter, 7-wire harness (harness includes wires for: park lamps, backup lamps, right turn, left turn, electric brake lead, battery and ground) with independent fused trailering circuits mated to a 7-way sealed connector, wiring harness for after-market trailer brake controller (located in the instrument panel harness) and (JL1) integrated trailer brake controller, TRAILER BRAKE CONTROLLER, INTEGRATED, TIRES, LT265/70R18E ALL-SEASON, BLACKWALL, TAILGATE, LOCKING, TAILGATE, EZ-LIFT, STEERING WHEEL CONTROLS, MOUNTED AUDIO CONTROLS. * Expert Reviews! *As reported by KBB.com: If you are a satisfied past or current Silverado HD owner, you will love these much-improved new ones despite their mostly carryover styling. Their performance, capabilities, refinement and fuel efficiency have improved, especially with their new, surprisingly quiet available Duramax turbo diesel V8. 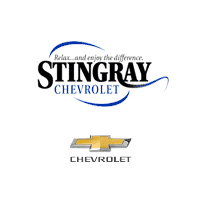 * Visit Us Today *Stop by Stingray Chevrolet located at 2002 N Frontage Rd, Plant City, FL 33563 for a quick visit and a great vehicle! This Chevrolet Silverado 2500HD delivers a Turbo-Charged Diesel V8 6.6L/403 engine powering this Automatic transmission. XM NAVTRAFFIC is available in over 80 markets and works with your vehicle's navigation system to give you real-time traffic data right when you need it most - while you're driving. You'll avoid traffic tie-ups, save time and gas by getting alternate routes, and, in some cases, receive traffic speed and drive time information. Plus, you can use XM NavTraffic at the same time you're enjoying XM Radio. You'll find that once you start using XM NavTraffic, you won't want to drive without it, WHEELS, 20 (50.8 CM) FORGED POLISHED ALUMINUM, TRANSMISSION, ALLISON 1000 6-SPEED AUTOMATIC, ELECTRONICALLY CONTROLLED with overdrive, electronic engine grade braking and tow/haul mode. * This Chevrolet Silverado 2500HD Features the Following Options *SUSPENSION PACKAGE, OFF-ROAD includes 35mm deflective disk twin tube shock absorbers, off-road jounce bumpers, 33mm front stabilizer bar, (NZZ) skid plate package and Z71 decals on rear quarters, SNOW PLOW PREP PACKAGE includes 10-amp power for backup and roof emergency light, high-flow front bumper, forward lamp wiring harness, (TRW) Provision for cab roof mounted lamp/beacon, instrument panel jumper wiring harness for electric trailer brake controller, (NZZ) Skid Plate Package and increased Front Gross Axle Weight Rating, SKID PLATE PACKAGE, FRAME-MOUNTED SHIELDS includes front underbody shield starting behind front bumper and running to first cross-member, protecting front underbody, oil pan, differential case and transfer case, LTZ PLUS PACKAGE includes (UG1) Universal Home Remote, (A60) locking tailgate, (PPA) EZ-Lift tailgate, (JF4) power-adjustable pedals, (UD7) Rear Parking Assist and (S41) Rear wheelhouse liner, LPO, LICENSE PLATE FRONT MOUNTING PACKAGE , TIRES, LT265/60R20E ALL-TERRAIN, BLACKWALL, TAILGATE, LOCKING, TAILGATE, EZ-LIFT, SEATS, FRONT BUCKET includes 10-way power driver and front passenger seat adjusters including 2-way power lumbar control, heated seat cushions and seatbacks, 2-position driver memory, adjustable outboard head restraints, floor console and storage pockets (STD), REARVIEW CAMERA SYSTEM. * The Experts' Verdict...*As reported by KBB.com: If you are a satisfied past or current Silverado HD owner, you will love these much-improved new ones despite their mostly carryover styling. Their performance, capabilities, refinement and fuel efficiency have improved, especially with their new, surprisingly quiet available Duramax turbo diesel V8. * Stop By Today *For a must-own Chevrolet Silverado 2500HD come see us at Stingray Chevrolet, 2002 N Frontage Rd, Plant City, FL 33563. Just minutes away! KBB.com 10 Most Awarded Brands. Only 15,439 Miles! Boasts 23 Highway MPG and 16 City MPG! This Chevrolet Silverado 1500 boasts a Gas V8 5.3L/325 engine powering this Automatic transmission. WINDOW, POWER, REAR SLIDING WITH REAR DEFOGGER, WHEELS, 20 X 9 (50.8 CM X 22.9 CM) POLISHED-ALUMINUM, UNIVERSAL HOME REMOTE. *This Chevrolet Silverado 1500 Comes Equipped with These Options *TRAILERING PACKAGE includes trailer hitch, 7-pin and 4-pin connectors Includes (G80) locking rear differential., SEATS, FRONT 40/20/40 SPLIT-BENCH, 3-PASSENGER, AVAILABLE IN CLOTH OR LEATHER includes driver and front passenger recline with outboard head restraints and center fold-down armrest with storage. Also includes manually adjustable driver lumbar, lockable storage compartment in seat cushion, and storage pockets. (STD) Includes (AG1) driver 10-way power seat-adjuster with (PCM) LT Convenience Package, (PDA) Texas Edition or (PDU) All Star Edition. ), LT PLUS PACKAGE includes (UG1) Universal Home Remote, (UD7) Rear Park Assist, (JF4) power adjustable pedals, (A48) rear sliding power window, (C49) rear-window defogger, ALL STAR EDITION for Crew Cab and Double Cab, includes (AG1) driver 10-way power seat adjuster with (AZ3) bench seat only, (CJ2) dual-zone climate control, (BTV) Remote Vehicle Starter system, (C49) rear-window defogger and (KI4) 110-volt power outlet (Includes (Z82) Trailering Package, (G80) locking differential and (T3U) LED front fog lamps. (N37) manual tilt and telescopic steering column included with (L83) 5.3L EcoTec3 V8 engine.) , TRANSMISSION, 6-SPEED AUTOMATIC, ELECTRONICALLY CONTROLLED with overdrive and tow/haul mode. Includes Cruise Grade Braking and Powertrain Grade Braking (STD), TIRES, P275/55R20 ALL-SEASON, BLACKWALL, TIRE, SPARE P265/70R17 ALL-SEASON, BLACKWALL, THEFT-DETERRENT SYSTEM, UNAUTHORIZED ENTRY, STEERING COLUMN, MANUAL TILT AND TELESCOPING, SILVER ICE METALLIC. * Stop By Today *Stop by Stingray Chevrolet located at 2002 N Frontage Rd, Plant City, FL 33563 for a quick visit and a great vehicle! KBB.com 10 Most Awarded Brands. Scores 20 Highway MPG and 15 City MPG! This Chevrolet Silverado 1500 delivers a Gas V8 5.3L/325 engine powering this Automatic transmission. WIRELESS CHARGING, WHEELS, 18 X 8.5 (45.7 CM X 21.6 CM) 5-SPOKE BLACK PAINT ALLOY, TRANSMISSION, 8-SPEED AUTOMATIC, ELECTRONICALLY CONTROLLED with overdrive and tow/haul mode. Includes Cruise Grade Braking and Powertrain Grade Braking (STD). *This Chevrolet Silverado 1500 Comes Equipped with These Options *LTZ PLUS PACKAGE includes (JF4) power adjustable pedals, (UQA) Bose premium audio system, (UD5) Front and Rear Park Assist and (UVD) heated leather steering wheel, ENHANCED DRIVER ALERT PACKAGE includes (UHX) Lane Keep Assist, (TQ5) IntelliBeam headlamps, (UHY) Low Speed Forward Automatic Braking, (UD5) Front and Rear Park Assist and (UEU) Forward Collision Alert, Safety Alert Seat , TRAILER BRAKE CONTROLLER, INTEGRATED, TIRES, 265/65R18SL MT 114S BLACKWALL GOODYEAR WRANGLER DURATRAC., SUNROOF, POWER, STEERING WHEEL, HEATED, LEATHER-WRAPPED AND COLOR-KEYED, SEATS, FRONT FULL-FEATURE LEATHER-APPOINTED BUCKET WITH (KA1) HEATED SEAT CUSHIONS AND SEAT BACKS includes 10-way power driver and front passenger seat adjusters, including 2-way power lumbar control, 2-position driver memory, adjustable head restraints, (D07) floor console, storage pockets and (K4C) Wireless charging., SEATING, HEATED AND VENTED PERFORATED LEATHER-APPOINTED FRONT BUCKET, REAR AXLE, 3.42 RATIO, PEDALS, POWER-ADJUSTABLE for Crew Cab and Double Cab models. * Visit Us Today *Come in for a quick visit at Stingray Chevrolet, 2002 N Frontage Rd, Plant City, FL 33563 to claim your Chevrolet Silverado 1500! CARFAX One-Owner. Clean CARFAX. Black 2017 Chevrolet Silverado 2500HD High Country 4WD Allison 1000 6-Speed Automatic Duramax 6.6L V8 Turbodiesel 110-Volt AC Power Outlet, 4.2 Diagonal Color Display Driver Info Center, 6 Rectangular Chromed Assist Steps (LPO), Auto-Dimming Inside Rear-View Mirror, Bright Sill Plates, Chrome Bodyside Moldings, Chrome Door Handles, Chrome Mirror Caps, Chrome Power-Adjustable Heated Trailering Mirrors, Chrome Recovery Hooks, Color-Keyed Carpeting Floor Covering, Deep-Tinted Glass, Digital Steering Assist, Driver & Front Passenger Vanity Mirror Visors, Driver Alert Package, Dual-Zone Automatic Climate Control, Duramax Plus Package, Electric Rear-Window Defogger, Electronic Shift Transfer Case, Engine Block Heater, EZ-Lift & Lower Tailgate, Forward Collision Alert, Front Halogen Fog Lamps, HD Radio, Heated Power-Adjustable Outside Mirrors, Leather-Wrapped Steering Wheel, Manual Tilt-Wheel/Telescoping Steering Column, Navigation System, OnStar 3 Month Guidance Plan, OnStar 4G LTE Wi-Fi Hotspot, Power Sliding Rear Window w/Defogger, Power Windows w/Driver Express Up & Down, Preferred Equipment Group 3LZ, Rear 60/40 Folding Bench Seat (Folds Up), Rear Vision Camera, Rear Wheelhouse Liners, Remote Keyless Entry, Remote Locking Tailgate, Remote Vehicle Starter System, Single Slot CD/MP3 Player, SiriusXM Satellite Radio, Spray-On Pickup Box Bed Liner w/Bowtie Logo, Standard Suspension Package, Steering Wheel Audio Controls, Trailering Equipment, Unauthorized Entry Theft-Deterrent System, Universal Home Remote.Recent Arrival!Awards:* 2017 KBB.com 10 Most Awarded BrandsVisit our virtual showroom 24/7 @ www.stingraychevrolet.com. KBB.com Brand Image Awards. Scores 20 Highway MPG and 15 City MPG! This Chevrolet Silverado 1500 delivers a Gas V8 5.3L/323 engine powering this Automatic transmission. WHEELS, 4 - 20 X 8.5 (50.8 CM X 21.6 CM) 5-SPOKE MACHINED ALUMINUM includes (QSS) P275/55R20 touring blackwall tires, (Z60) High-performance suspension package and steel spare (spare wheel will not cosmetically match the other 4 wheels), TRANSMISSION, 4-SPEED AUTOMATIC, ELECTRONICALLY CONTROLLED with overdrive and tow/haul mode (STD), TRAILERING EQUIPMENT, HEAVY-DUTY includes trailering hitch platform and 2-inch receiver, 7-wire harness (harness includes wires for: park lamps, backup lamps, right turn, left turn, electric brake lead, battery and ground) with independent fused trailering circuits mated to a 7-way sealed connector, wiring harness for after-market trailer brake controller (located in the instrument panel harness), and single wire for center high-mounted stop lamp, (K47) high-capacity air cleaner and (KNP) external transmission oil cooler. *This Chevrolet Silverado 1500 Comes Equipped with These Options *SUSPENSION PACKAGE, HIGH-PERFORMANCE includes 36mm front stabilizer bar , SEATS, FRONT 40/20/40 SPLIT-BENCH, 3-PASSENGER, DRIVER AND FRONT PASSENGER MANUAL RECLINING center fold-down armrest with storage, lockable storage compartment in seat cushion (includes auxiliary power outlet), adjustable outboard head restraints and storage pockets on Extended and Crew Cab models (STD), SEAT ADJUSTER, DRIVER 6-WAY POWER, REAR AXLE, 3.73 RATIO, PAINT, SOLID (STD), LT PREFERRED EQUIPMENT GROUP Includes Standard Equipment, GVWR, 6800 LBS. (3084 KG) (STD), ENGINE, VORTEC 5.3L V8 SFI WITH ACTIVE FUEL MANAGEMENT (315 hp [234.9 kW] @ 5200 rpm, 338 lb-ft of torque [456.3 N-m] @ 4400 rpm), iron block, EBONY, SELECT CLOTH SEAT TRIM, DIFFERENTIAL, HEAVY-DUTY AUTOMATIC LOCKING REAR. * The Experts' Verdict...*As reported by KBB.com: If you want to tailor your pickup truck to your exact requirements, the 2008 Chevrolet Silverado enables you to do just that with a wide variety of configurations, bed lengths and trim levels. The Silverado's V8 engine lineup offers Active Fuel Management technology and Flex-Fuel E85 capability. * Stop By Today *Come in for a quick visit at Stingray Chevrolet, 2002 N Frontage Rd, Plant City, FL 33563 to claim your Chevrolet Silverado 1500! KBB.com Brand Image Awards. Boasts 20 Highway MPG and 15 City MPG! This Chevrolet Silverado 1500 boasts a Gas V8 5.3L/323 engine powering this Automatic transmission. WHEELS, 4 - 17 X 7.5 (43.2 CM X 19.1 CM) CUSTOM ALUMINUM (spare wheel will not cosmetically match the other 4 wheels), TRANSMISSION, 4-SPEED AUTOMATIC, ELECTRONICALLY CONTROLLED with overdrive and tow/haul mode (STD), TRAILERING EQUIPMENT, HEAVY-DUTY includes trailering hitch platform and 2-inch receiver, 7-wire harness (harness includes wires for: park lamps, backup lamps, right turn, left turn, electric brake lead, battery and ground) with independent fused trailering circuits mated to a 7-way sealed connector, wiring harness for after-market trailer brake controller (located in the instrument panel harness), and single wire for center high-mounted stop lamp, (K47) high-capacity air cleaner and (KNP) external transmission oil cooler. *This Chevrolet Silverado 1500 Comes Equipped with These Options *SUSPENSION PACKAGE, HANDLING/TRAILERING, HEAVY-DUTY includes 46 mm piston monotube shocks and 34mm front stabilizer bar (STD) (Includes 36mm front stabilizer bar when (NHT) Max Trailering Pack is ordered.) , TIRES, P245/70R17 ALL-SEASON, BLACKWALL (STD), SUMMIT WHITE, SEATS, FRONT 40/20/40 SPLIT-BENCH, 3-PASSENGER, DRIVER AND FRONT PASSENGER MANUAL RECLINING center fold-down armrest with storage, lockable storage compartment in seat cushion (includes auxiliary power outlet), adjustable outboard head restraints and storage pockets on Extended and Crew Cab models (STD), SEAT ADJUSTER, DRIVER 6-WAY POWER, REAR AXLE, 3.42 RATIO, POWER PACK PLUS includes (LY5) Vortec 5.3L V8 SFI engine, (LH6) Vortec 5.3L V8 SFI engine, (LC9) Vortec 5.3L V8 SFI FlexFuel engine or (LMG) Vortec 5.3L V8 SFI FlexFuel engine, (G80) heavy-duty automatic locking rear differential, (Z82) heavy-duty trailering equipment, and (N56) 4-17 x 7.5 (43.2 cm x 19.1 cm) 6-lug custom aluminum wheels, PAINT, SOLID (STD), LT PREFERRED EQUIPMENT GROUP Includes Standard Equipment, GVWR, 6800 LBS. (3084 KG) (STD). * See What the Experts Say! *As reported by KBB.com: If you want to tailor your pickup truck to your exact requirements, the 2008 Chevrolet Silverado enables you to do just that with a wide variety of configurations, bed lengths and trim levels. The Silverado's V8 engine lineup offers Active Fuel Management technology and Flex-Fuel E85 capability. * Visit Us Today *Test drive this must-see, must-drive, must-own beauty today at Stingray Chevrolet, 2002 N Frontage Rd, Plant City, FL 33563. Find Quality Used Chevy Trucks for Sale at Stingray Chevrolet! After browsing our inventory of used Chevy Silverado’s, contact our sales team to make an appointment for a test drive. You can also get started by applying for financing online!